Things are on hold for a while. My day job got unbearable, so I quit. So, now my energy is being taken looking for a new job. Although I have a lot of time, I can’t seem to focus on my art work. I may take the plunge! If no job offers come in soon, I might set myself up on some tourist crowded street in Manhattan, and sell inexpensive reproductions of my work. I figured out a way to make matted 5×7’s for $2, and I can sell them at $5. And who knows, maybe someone will want the original. One problem though….some of my most popular images I no longer have possession of. And the only high-res files I have of them are on an old picture CD from 1997. Yes, last millenium. They were such an old file type, that none of my programs could open them. Then my awesome boyfriend found a way. Did I mention that my boyfriend is awesome? So, once again, I can bring to life these oldies to people who would enjoy them. Ladies and Gentlemen! 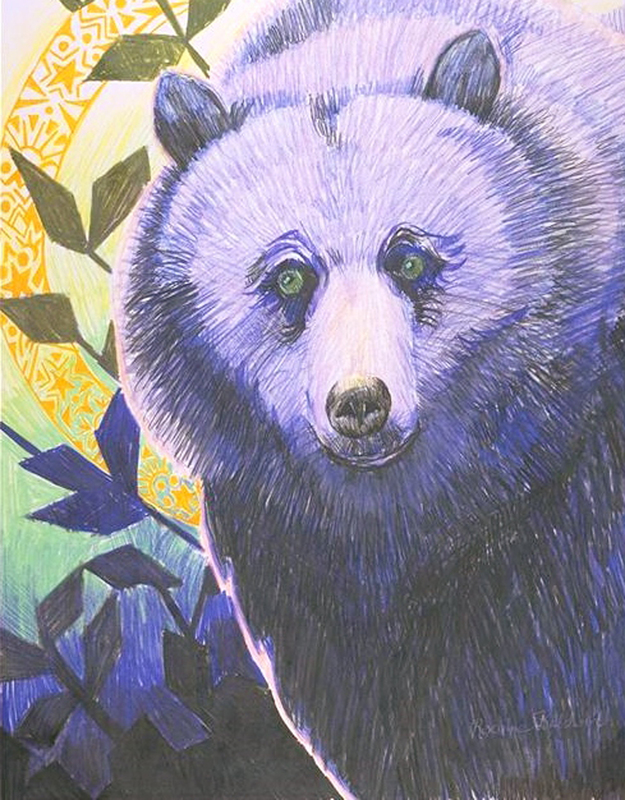 The long awaited comeback of “A Shaman’s Bear”, and “A Western Tao”.